Back in April, myself and two friends took a trip to Iceland, spending eight days circumnavigating the island via its famous ring road. Happily, around that time we were looking for some updated content for our review of the Nikon D810, so I took one along and wrote up a shooting experience. In general, though, I enjoy documenting my travels even when I’m just traveling for fun. 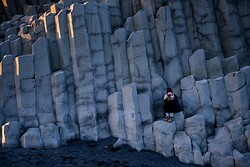 I find it to be a nice creative recharge, simply photographing for myself, in my style, with my choice of equipment. Of course, the D810 I borrowed wasn’t my personal equipment, but it was near-ideal for the sorts of situations I found myself in (plus, handling-wise, it isn’t quite so different from the D700 I was originally planning on bringing). But now we’ve got VR technology beginning to make waves in the consumer electronics industry. What’s more, capture devices are getting more accessible: the Ricoh Theta S retails for just $349, making it a cheaper proposition than most DSLRs, as well as my secondhand X100 and Ricoh GR, which are my usual go-to cameras for casual photography. 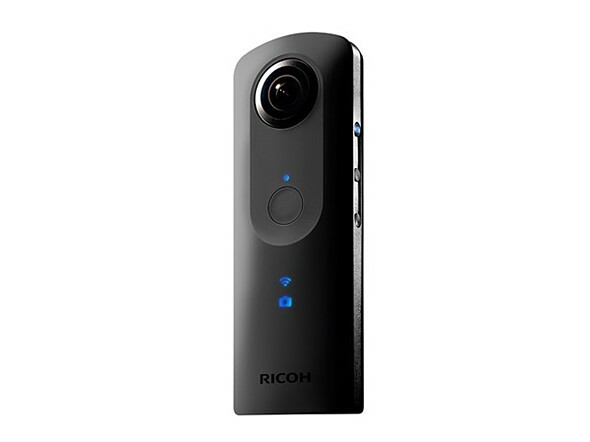 The Ricoh Theta S carries an MSRP of $349, and offers full 360 stills and video capture as well as smartphone integration. At its core, the act of taking a photograph requires some translation of the 360-degree setting in which the photographer stands into a two-dimensional window, for viewing on the web or in print. But 360-degree VR capture changes that. When you’re literally just capturing the entirety of a scene around you, is there value in it for other viewers? 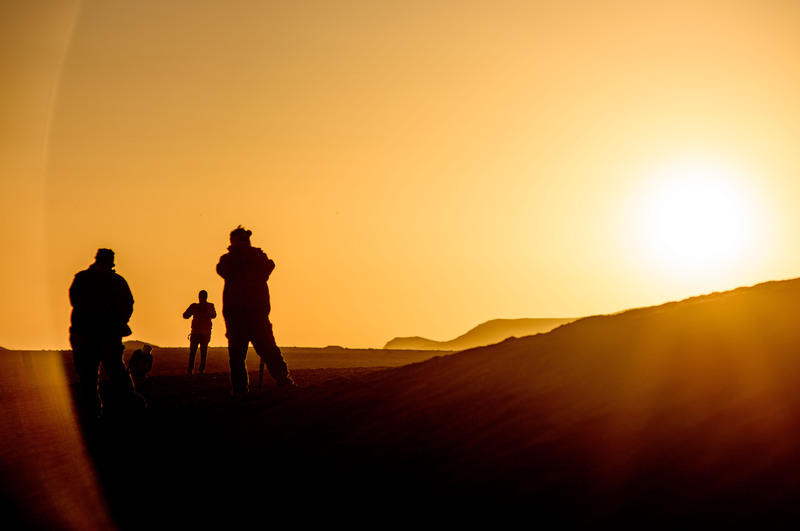 When you’ve removed one of the most basic creative tenets of capturing a photograph, what are you left with? 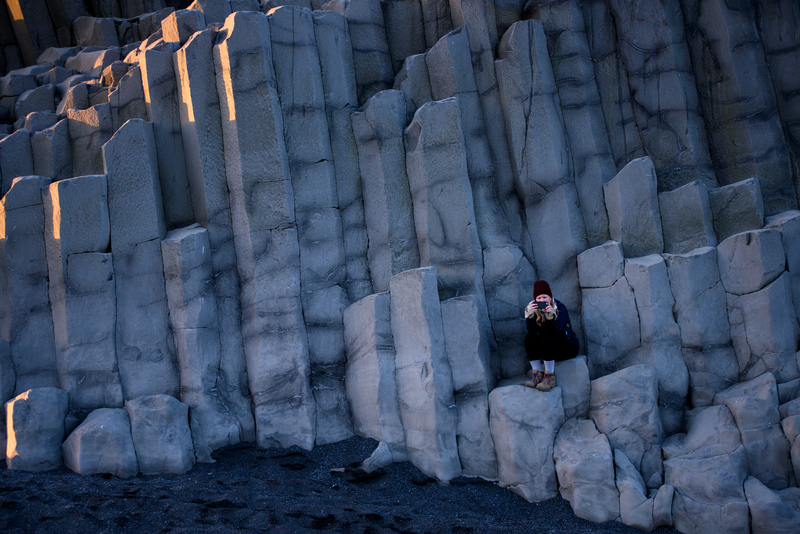 During our time in Iceland, my friends and I were lucky enough to have the opportunity to borrow a Ricoh Theta S as well. Without any prior experience, we tried to use it as we did our DSLRs – to see if and how it could offer value to us above and beyond our traditional camera kits. Click-and-drag on a desktop or laptop to view the 360 footage. All ‘traditional’ photographs by Carey Rose, and all Theta S 360 images by Jordan Stead. 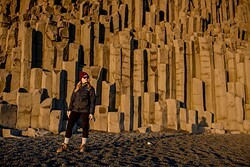 Spoiler alert – when viewing the Theta S footage on a 2D viewing device, such as a laptop or smartphone, I find the results somewhat underwhelming. And throughout this article, you will, of course, notice that the files from the Ricoh are a little low-res, and lack some ‘pop’ that you can see in files from the D810. This shouldn’t really be a surprise given the dramatic differences in hardware, so I’ll be focusing on the viewing experience concerning the 360-stills rather than outright image quality. 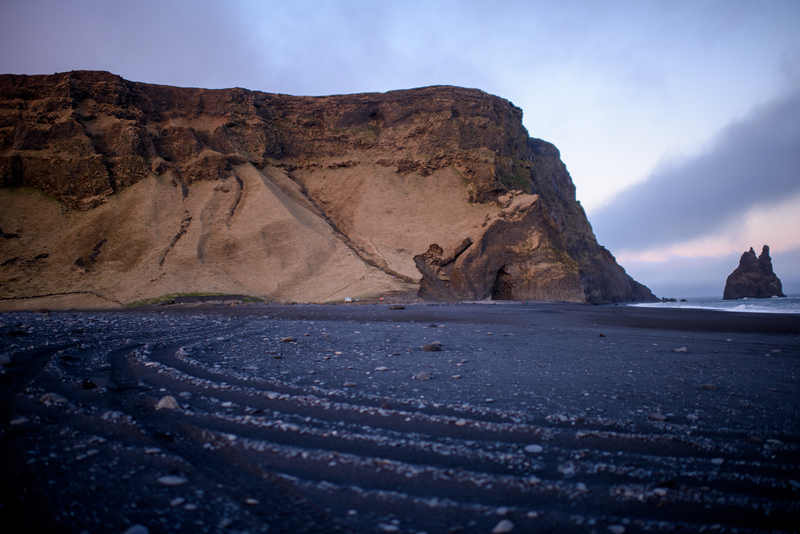 Here’s a collection of stills captured on a D810 from a black sand beach outside Vik, in southern Iceland. The top two images are shot with a 35mm prime, and the bottom two with an 80-200mm F2.8 zoom. Now, as I alluded to in my shooting experience, these may not be your standard picture-perfect postcard images from this setting. But that’s okay, because that’s not generally how I shoot when I’m shooting for myself. I like to use several different photos to focus on several different aspects of a scene, as opposed to shooting wider-angle ‘overall’ photos that get more of a sense of place in a single image. Something approaching the latter is what you get when you use the Theta S.
I find viewing the 360 as you see it above in a web browser or on a mobile phone to be somewhat ‘distant.’ The distortion is strong, and therefore distorts the sense of place, even though you can see everything in the scene. Everything also feels very far away, which ties in with an overall sense of detachment I feel looking at it, even though I know that I’m just a little ways down the beach in the image. You can zoom into the 360 image to reduce the distortion somewhat, but then the experience becomes even less immersive. 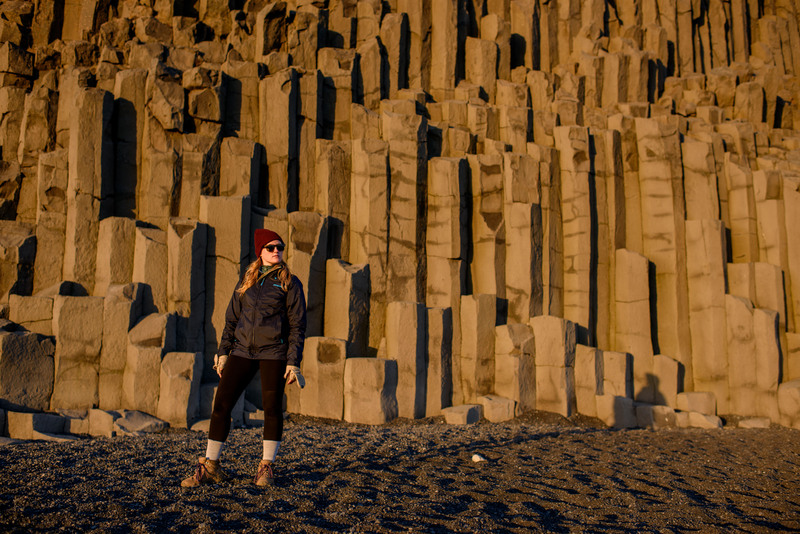 The overall feeling I get is of a person quickly taking an eye-level wide-angle photograph of something in front of them (not a criticism of my friend Jordan who was shooting with the Theta – the 360’s I took on this trip also had the same feel). Also, if you happen to view it on a phone, by default you ‘look’ around the scene by reorienting your phone in 3D space, which makes you look very silly if you are looking at it in public. But then I looked at it through a Galaxy Gear VR headset, and everything changed.